Io Shirai, who is one of the top women’s performers in the world, is expected to be leaving her home promotion of Stardom and accepting an offer from World Wrestling Entertainment. Tokyo Sports reported the pending deal and added that Shirai’s final appearance for Stardom is expected to take place Sunday, June 17th at Korakuen Hall. Io Shirai, who is one of the top women’s performers in the world, is expected to be leaving her home promotion of Stardom and accepting an offer from World Wrestling Entertainment. Tokyo Sports reported the pending deal and added that Shirai’s final appearance for Stardom is expected to take place Sunday, June 17th at Korakuen Hall. Stardom president Rossy Ogawa was quoted by Tokyo Sports, who stated he would explain in the near future, without denying the report. The 28-year old debuted in March 2007 and teamed with her sister Mio, who has since retired due to neck injuries. 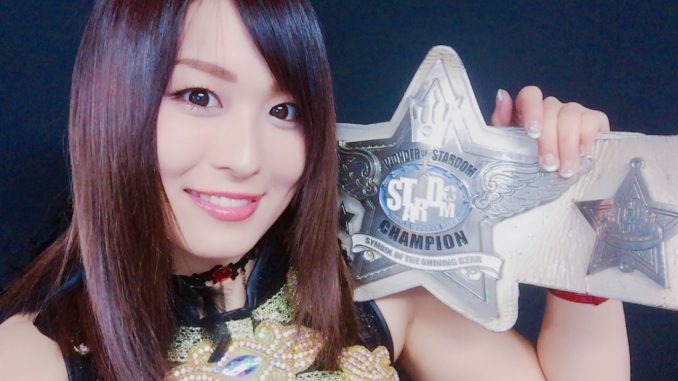 Shirai broke out a singles star, winning the promotion’s top championship, the World of Stardom title in April 2013 from Alpha Female (Jazzy Gabert) and held the title for close to 16 months. Her second reign as champion came in December 2015, defeating Meiko Satomura and dropped it last June to heir apparent Mayu Iwatani. Shirai had been the promotion’s Wonder of Stardom champion, which is their secondary title, until last Wednesday when she lost to Momo Watanabe. This is the second attempt by the WWE to sign Shirai, who was expected to sign in 2017 but was flagged during the physicals and returned to Stardom, where she was cleared to continue her career. Dave Meltzer of the Wrestling Observer Newsletter had reported that a heart issue was the cause for her inability to go to the WWE last year.